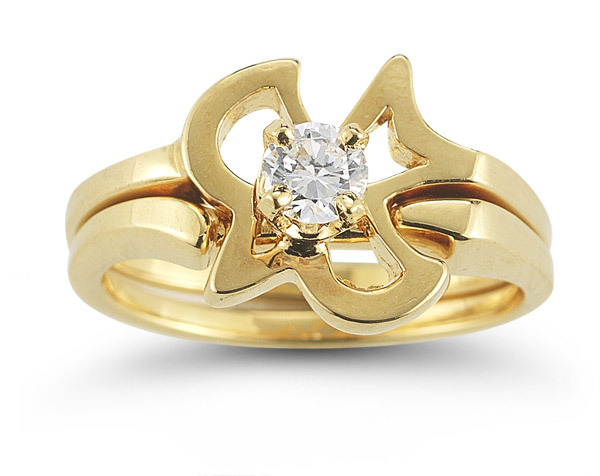 Faith makes a powerful statement in this stunning Apples of Gold bridal ring set. 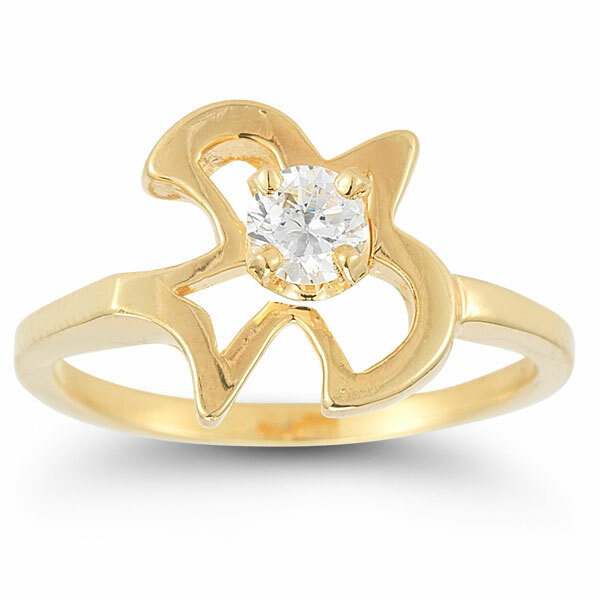 A Christian dove symbolizing the Holy Spirit captures the essence of this ring set and provides a foundation of faith. Its open-cut silhouette casts a beautiful shape, and the center also boasts a 4mm white cubic zirconia stone that provides all the sparkle a bride could want. 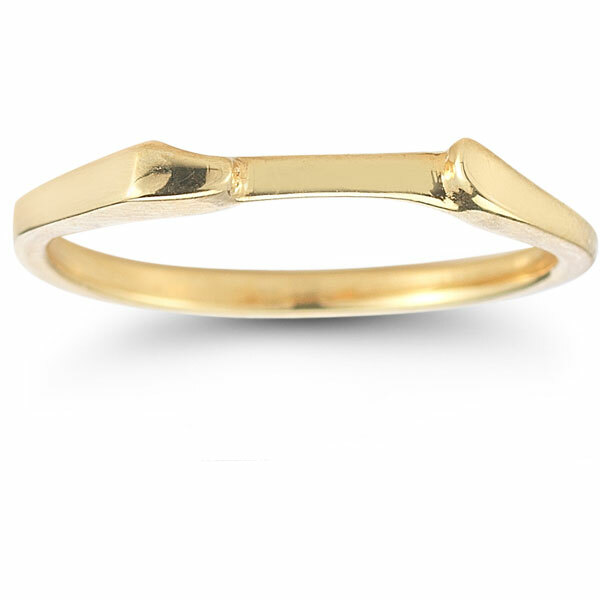 The ring is carefully forged from 14K yellow gold to keep traditional elegance in high style. 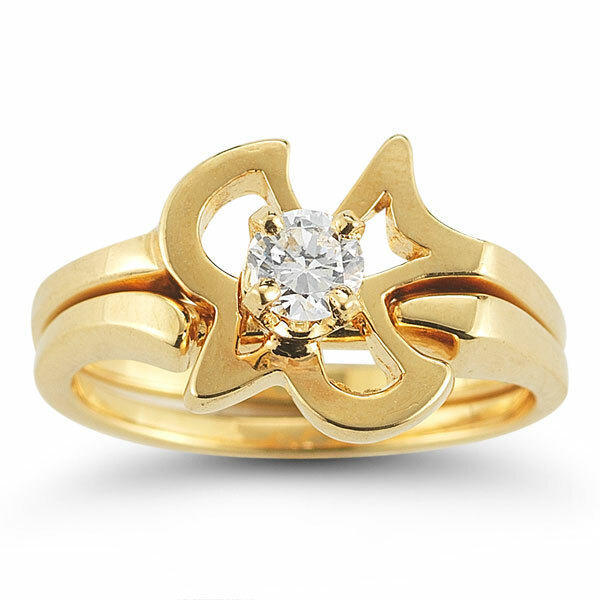 Apples of Gold Jewelry guarantees the Christian Dove CZ Engagement and Wedding Ring Set in 14K Yellow Gold to be of high quality and an authentic engagement ring with real diamonds, as described above.